MyMemories Blog: MyMemories February Blog Train! Hop on the MyMemories February Blog Train! 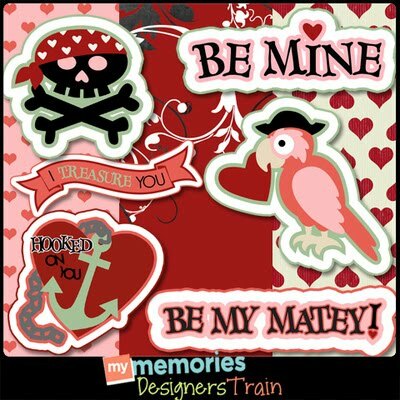 I noticed that when I download the "Be My Matey" part of the train... it says it's "Be My Matey", but after installing it in My Memories Suite.... the papers and embellishments are not "Be My Matey", but the papers and embellishments for the "Til Death Do Us Part" part of the train. Please help!